Collaborating with an advisory board of young adults from the Hopkins, Minnesota area, Community Blueprint created a campaign focused on reducing binge drinking in young adults. 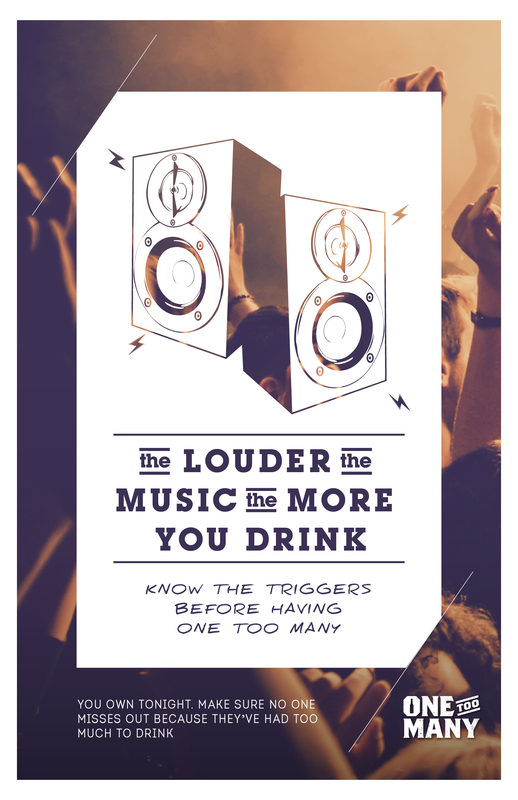 In addition to decreasing binge drinking rates, the campaign also aimed to increase the low perception of harm that young adults typically associate with binge drinking. The Young Adult Advisory Board wanted a campaign that was positive, non-judgmental, memorable, and informative. 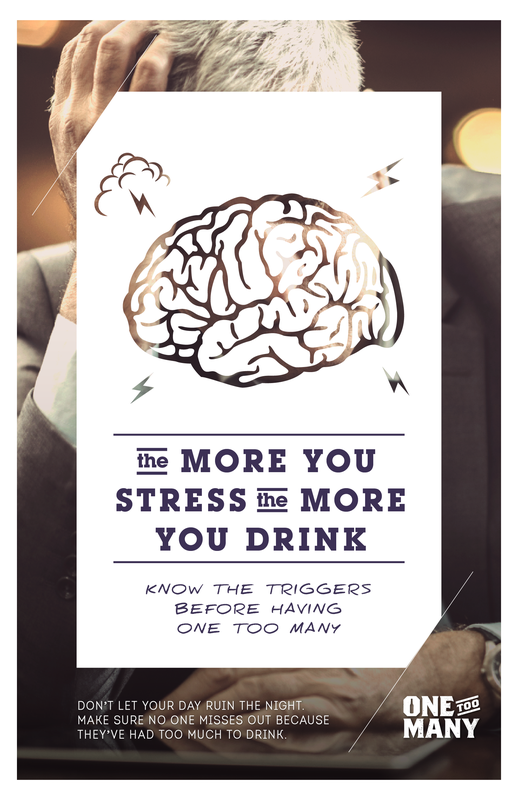 Under the direction of Community Blueprint, the Young Adult Advisory Board helped craft the messaging for the One Too Many campaign, based on the relatable “one drink too many” that adults of legal-drinking age may be familiar with. 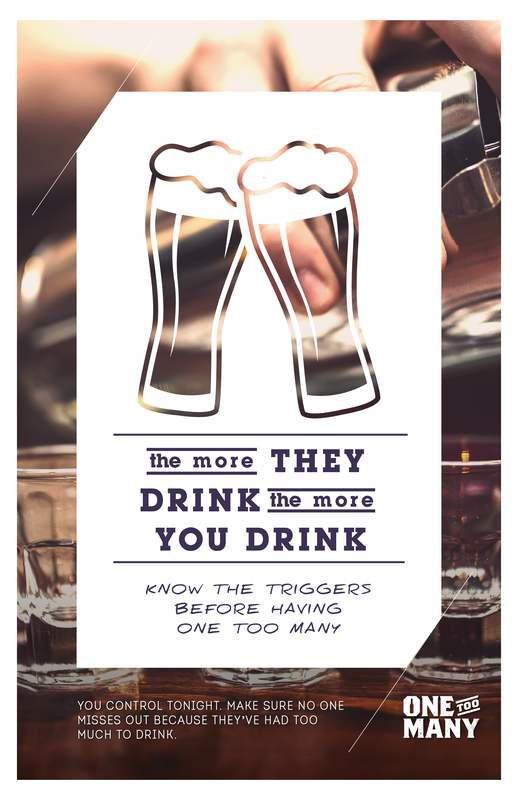 The campaign highlights the importance of knowing the triggers that can cause people to drink more. Each ad within the campaign focuses on a unique trigger, educating the audience so that they can be more aware of their behaviors and surroundings. The campaign will live in Hopkins bars that attract a younger adult clientele, and will include bathroom signage and graphics, as well as custom coasters at the bar. 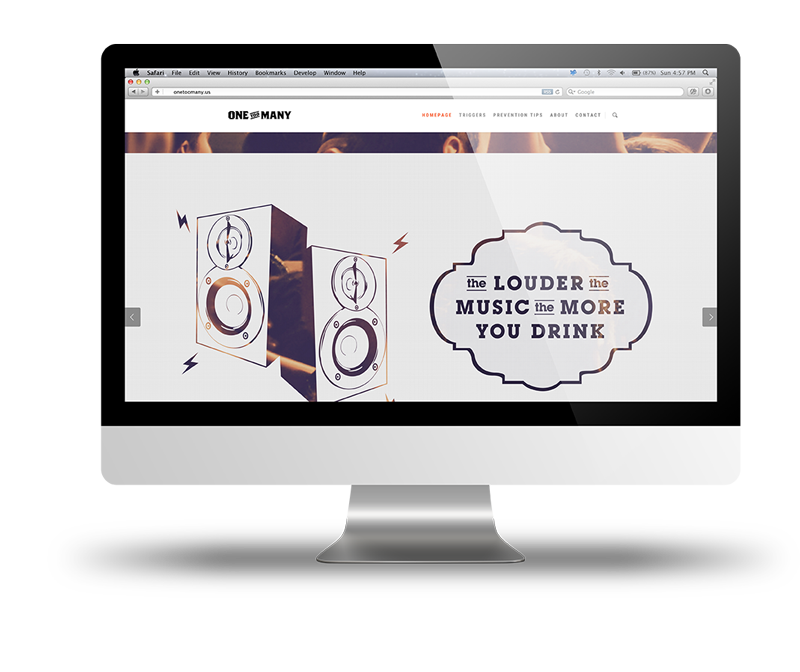 In addition to the in-bar marketing, the One Too Many website provides prevention tips and more information about triggers.